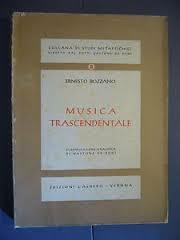 A little-known work outside of Italy is Ernesto Bozzano’s Musica Trascendentale, which is concerned with various musical manifestations. Bozzano, who lived between 1862 and 1943, was well known for his published collections of a variety of psychic phenomena, and for his strong defenses of discarnate agency (click here and here). The book is an enlarged edition of article length studies published during the early 1920s, and the monograph was reprinted in 1982. The author presented 42 numbered cases grouped in six chapters. The first was about music produced by mediums, and the second presented music perceived telepathically. The rest of the chapters had cases of music heard during hauntings, unrelated to death, around deathbeds, and after a death. Most of the cases were taken from spiritualistic and psychical research publications. For example, in Chapter 5, “Transcendental Music in Deathbeds,” Bozzano included clear sources for 18 of the 20 cases cited. While one case came from a biography, 17 were taken from spiritualist and psychical research publications. These 18 publications had dates ranging from 1863 to 1932, but most of them (13) appeared in the twentieth century. Bozzano considered in his discussions collectively perceived cases, and cases of selective percipience. This included those instances in which only one person heard the music when others were present, and those rare cases in which there were different auditory perceptions. He argued that the hallucinatory explanation of music heard in hauntings could not be defended because there were cases in which the percipients were not aware that the place was haunted. Against the psychometric explanation of hauntings, the author stated that there were some cases in which music was heard at a distance from the haunted place, and where the percipients stopped hearing the music when they approached the locale. Discussing deathbed cases, Bozzano said that there were instances where the music was heard in conjunction with the perception of visions of the dead by the dying person. There were also cases in which the dying individual did not hear the music, but the bystanders did. This, he believed, excluded the possibility that the dying person generated the auditory perception by affecting the others telepathically. 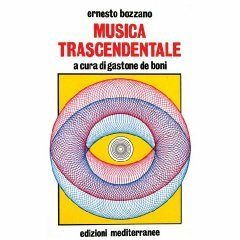 Cases of music heard after someone’s death, Bozzano believed, were definitively unexplained by telepathy from the living. He supported his conviction by pointing out that some of these cases took place weeks, months, or a year after the death. Furthermore, some were repeated on particular dates, something Bozzano interpreted as the action of a “vigilant intentionality” inconsistent with the idea of telepathy from living agents. Regardless of how we may feel today about Bozzano’s survival interpretations, the book deserves to be better known for his useful presentation of cases. Bozzano’s compilation of cases from varied sources and time periods is an important contribution to the subject. The topic has been explored in later years by D. Scott Rogo and Melvyn Willin. These comments were first published as a letter to the editor in the Journal of the Society for Psychical Research, and are reprinted here with the editor’s permission. For information about the Society click here. Is there any chance that it will be translated into English one day? Most of Bozzano’s work have not been translated. I doubt someone would translate this one, unfortunately.